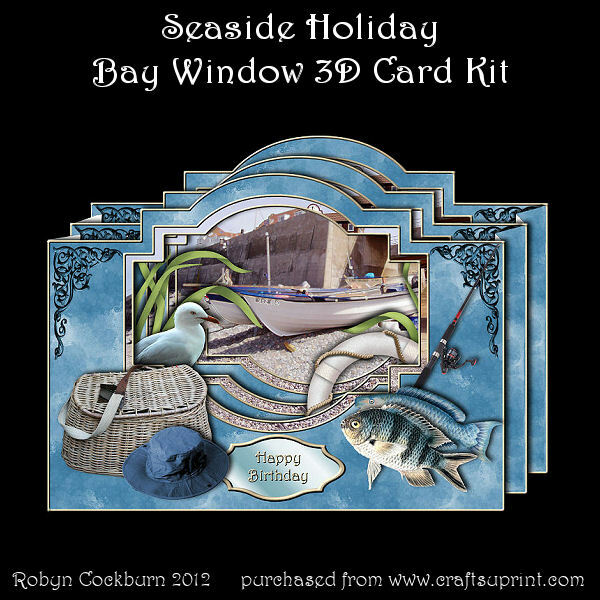 Three layers of windows lead the eye to a scene in the centre back of the card. Decoupage items on each layer give an added sense of perspective. These cards are 3D and free standing but easily flatten to place in the matching envelope provided. A message plaque is provided for the back and various greeting labels are included to use on the front. The decoupage items can be placed wherever you wish ensuring a uniquely individual card each time you make it. The card is approx. 7.5" x 5.7" when flat (19cm x 14.5cm).